Trick Shot 2 ($2.99) is a follow up to the lovely Trick Shot ($1.99) from the lead designer of Monument Valley 2 ($4.99). 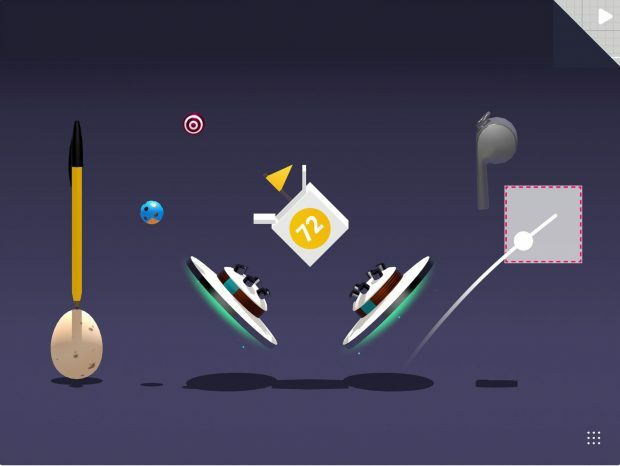 When Trick Shot released on the App Store a few years ago, it was a lot of fun. As a concpet, this didn’t do anything mindblowing on paper but the execution was really good and the polish on it was pretty great. Read our review of the original Trick Shot here. Jonathan Topf has been teasing a new game through Twitter for a bit now and today, Trick Shot 2 got a release on the App Store and it is available right now. Trick Shot 2 has a fully featured level editor from the get go. All of the new levels in this game have been created using the same level editor. This editor lets you play with buttons, levers, rotators, gravity, power connectors, teleporters, and more to create and share levels. I love the blueprint aesthetic for not just the icon but even the level editor here. It is going to be interesting seeing the creations everyone makes. If you’re on Android and wondering if it is releasing there, Jonathan Tweeted that there would be news for that soon. As of now it is available on the App Store for $2.99 right now. If you missed out on the first game, check out our forum thread for it here for some impressions.